Congratulations to all of you who made it this far in the tournament, we wish you all good luck. Already watch the episode, then click on comments and tell us what you think. Thanks to Der HellRazor for the heads-up on this story. PlayStation.Blog: So what is the inspiration for bringing Freddy Krueger to Mortal Kombat as a DLC character? 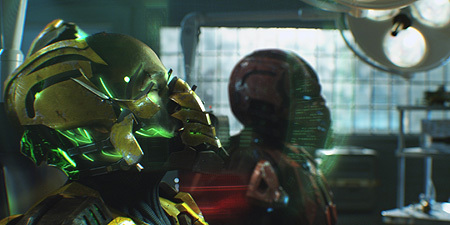 Ed Boon, Creative Director, Netherrealm Studios: It was a number of things. It’s kind of hard to choose a character who would fit well into the Mortal Kombat universe, with the blood and violence that’s so associated with it. Kratos from God of War is a brutal, bloody character, so he makes sense. When we had the discussions about the DLC characters, we knew that we wanted to add a returning character, a new character, but also a guest character. That was one of the goals right from the beginning. A number of names were run by us: Jason, Michael Myers and all those guys. Freddy Kreuger, we felt, was the most instantly recognizable and he fits in with Mortal Kombat with his claws. It just seemed like the best fit. PSB: Will Freddy’s ability to invade his victims’ dreams play into his Mortal Kombat incarnation in any way? Yeah, you’ll see some of that. His story ending really plays into that. In the middle of a fight, you won’t see him entering a guy’s head in a dream sequence or anything, but there is plenty of dream-related stuff in his introduction animation, his victory stance, his fatalities and so forth. Biography: A malevolent spirit of the Dream Realm, Freddy Krueger preys on the souls of the living as they sleep. When Shao Kahn began to steal Earthrealm's souls - souls Freddy considered his own - Freddy battled the emperor in the Dream Realm. But Shao Kahn's will was too strong. He pulled Freddy into the real world, where he was mortal, and defeated him. A badly injured yet determined Freddy fitted both his hands with demonically enhanced razor gloves. Once he has killed Shao Kahn he will find a way back to the Dream Realm, where he will torment Earthrealm's souls for eternity. 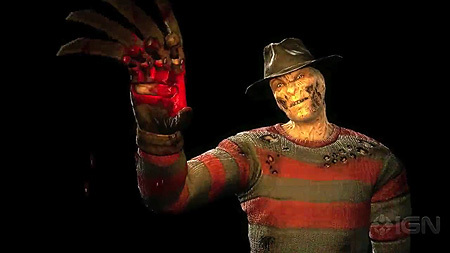 Freddy Krueger is the 4th and currently last DLC Kharacter for Mortal Kombat 9 and will be available on August 9th, 2011. 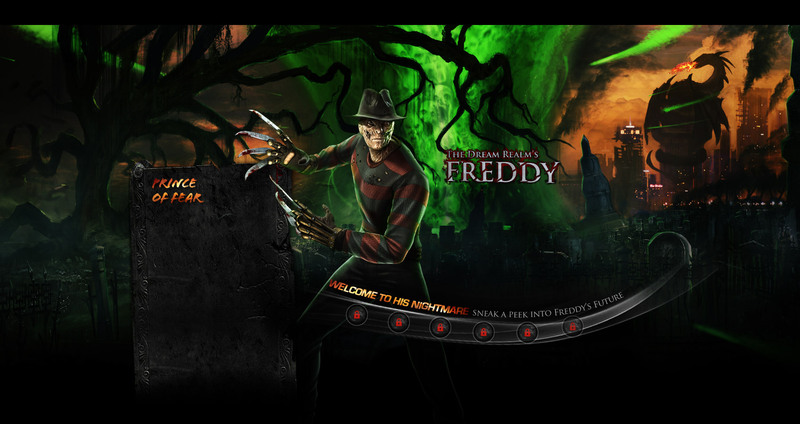 Also, join the Freddy Krueger's discussion on our Forums and tell us what you think of this character. We are constantly updating our Mortal Kombat 9 (2011) section so that we can offer the most up to date information. The ninth and last episode of Mortal Kombat: Legacy arrives tomorrow. In the mean time you can still re-watch the first 8 episodes in our Mortal Kombat: Legacy section.